Directly replace existing Dantel legacy Smart Blocks (Alarm and Control Block) with PointMaster Eagles. Replacement options include the Eagle Smart Adapter Kit (ESAK) or a complete “forklift”. The ESAK (An Eagle with an adapter kit) allows you to leverage existing alarm wiring, eliminating all associated costs. With ESAK replacement, turn-up and testing takes less than an hour. “Forklift” replacement is estimated at 1 to 2 days. 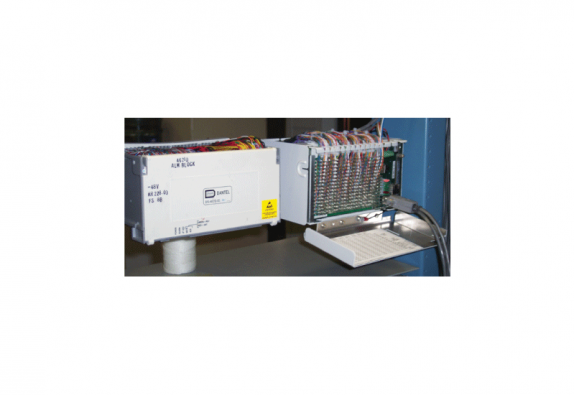 PointMaster Eagle is designed to function in legacy as well as newer alarm network infrastructures. The Eagle supports serial or TCP/IP communications for reporting to an existing 460 ACS system or directly to a host system, simultaneous if desired.